Well I think that I've cracked the current assembly that controls the movement of all the planet, Sun and date pointers anyhow - or at least proved that it works. 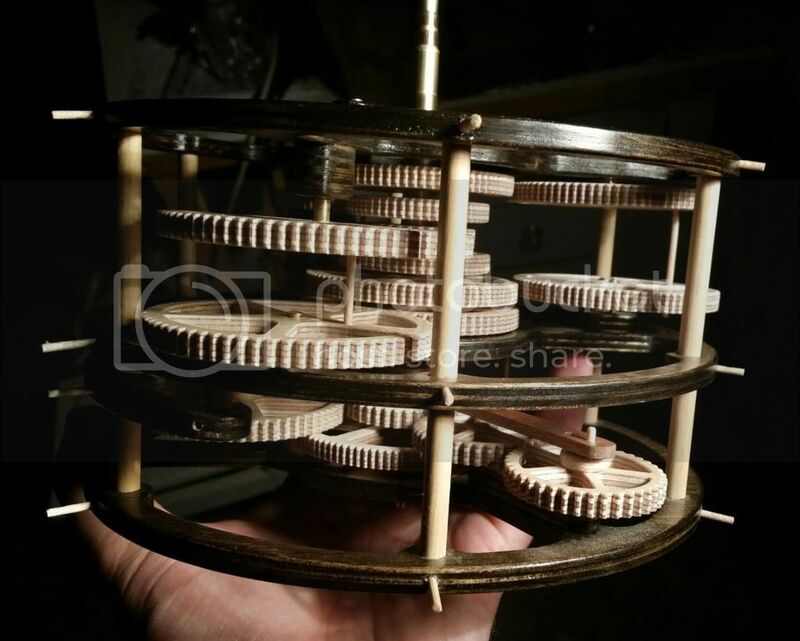 So, here are some photos of the first unit all put together and, more or less, working! 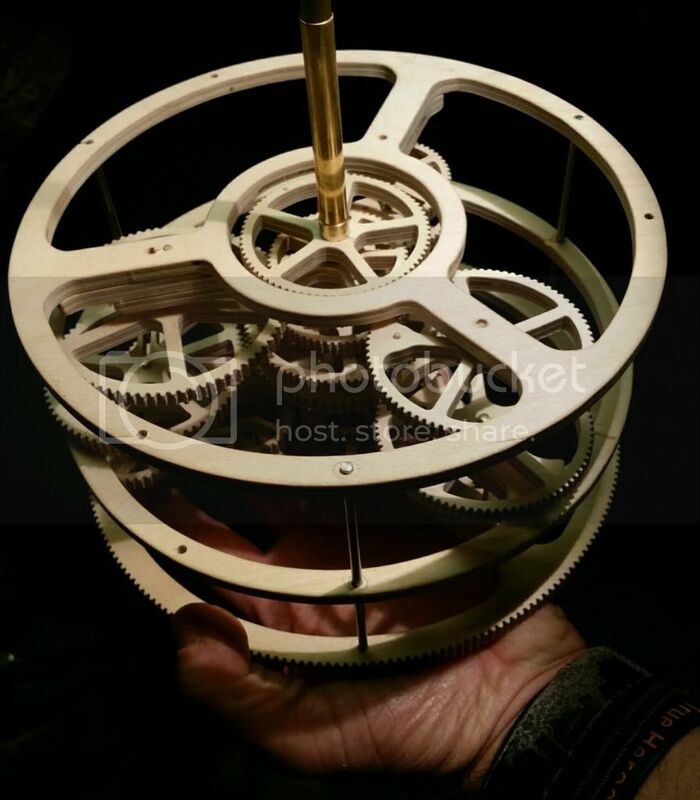 This entire assembly slowly turns on its axis, with all the gearing gently spinning within it - it should look great in situ when it's actually running. One of Saturn's gear pairs only meshes when it wants to at the moment, but that's mainly down to the fact that central core of tubes is only held at one point at the moment so the other end is free to move about a bit which pulls the gears out of position. Hopefully, when the rest of the framework is built, everything will be caged and held in its proper position and it'll all work beautifully... hopefully being the operative word. Truly amazing work, and worthy of the very highest praise! I broke my own account because I'm too dumb to click "delete this account". Instead I changed my email address to a obscene message demanding the forum staff do it. Now I can't log in do do this. My shame will be forever on this forum. This is exemplary work and cannot be praised highly enough. Until I read this thread this morning for the first time, I had no idea the Antikythera Mechanism had been thoroughly deciphered, nor that it had been translated into Lego. It's taken a while, but I'm off and running again. The pictures show the rebuilt unit in its new colours with a slightly reworked layout. It's still missing six gears at the moment, but I'm awaiting some brass tubing to arrive in the post before I can finish this bit off. This look will follow through the rest of the machine. Had to go out for fresh popcorn several times, but still watching. Looking good. Just pass that popcorn along the line, y'hear? 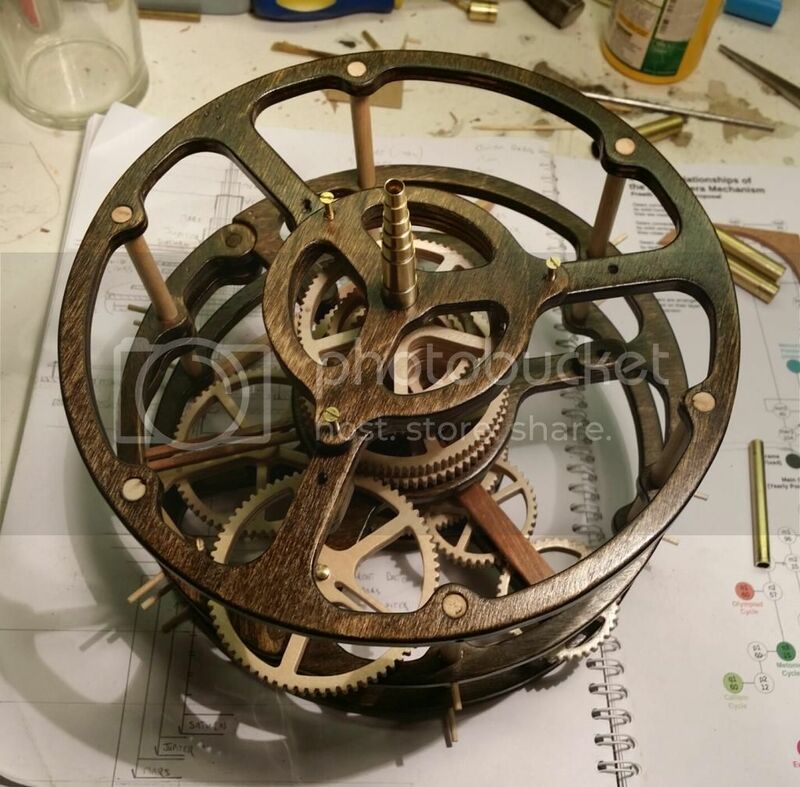 Here are a few pics with the last few gears fitted - and it works (again - but now properly)! 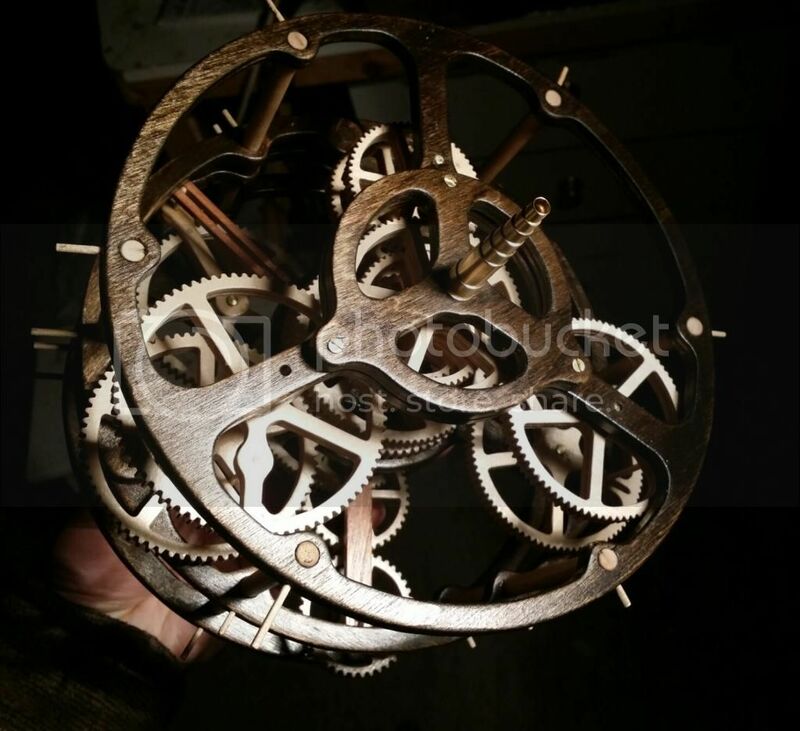 There is a slight bind on two of the gears which I'll sorry out tomorrow evening after work (working on a Saturday, who's idea was that...?). Bye for now ladies and gents. 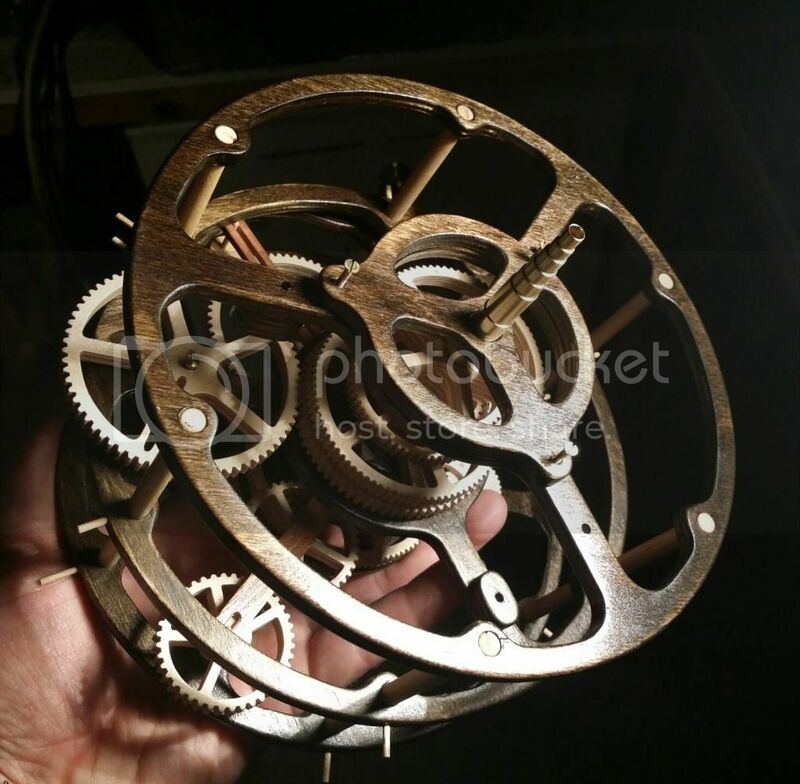 Is there any kink of lubrication on wood gears? No, no lubrication needed thank goodness. 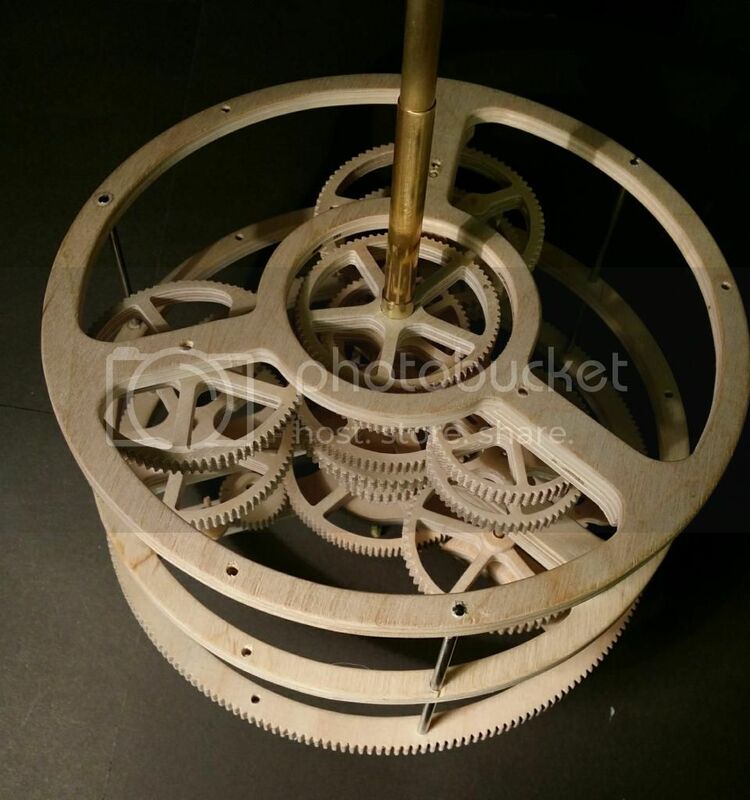 The gears are very low stress, and are not constantly driven (us humans get very bored, very quickly, winding a handle, so wear and tear is minimal). 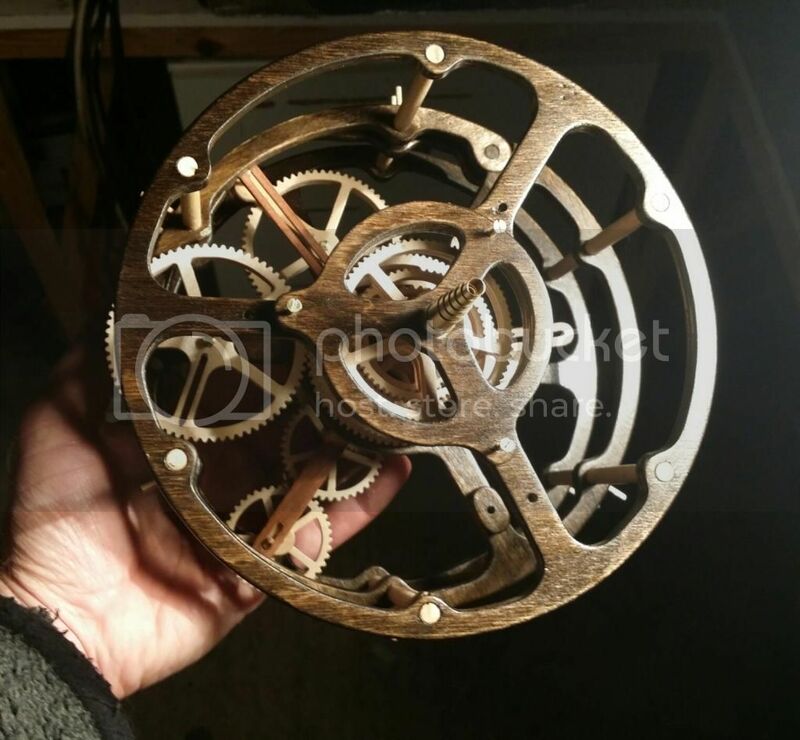 The only exception to this is when I have a metal worm gear driving a wooden gear on the orreries that I build - on these I use candle wax which works brilliantly. This machine will have a bevel gear input I should think rather than a worm drive - but maybe not, the jury is still out on that one at the moment! So, hands up all those that actually want to see it doing something at last! I finally managed to fit it into a temporary frame so that I could give it a quick spin and make a film showing it sort of doing it's thing. The cocktail stick pointers are only temporary - honest. It all seems to be working as advertised - all I have to do now is build the rest of it - what could possibly go wrong...? Looking good. So you don't have to leave BG to watch. After lots of head scratching and note book scribbling I've finally settled on the gear sizes for the rest of the machine, and the last couple of evenings has seen me printing them all out and getting the templates stuck down and ready to cut. The job of actually cutting them out should keep me busy at the scroll saw for at least a week or so I should think, and then I'd really better start thinking about how I'm going to put it all together! That looks like a LOT of work. Agreed, some top quality craftsmanship here, Im hooked. Have you lost yer mind!?! And for some reason I thought you had those laser cut or something. Oh, wait, that's right, it's because they are so well crafted! 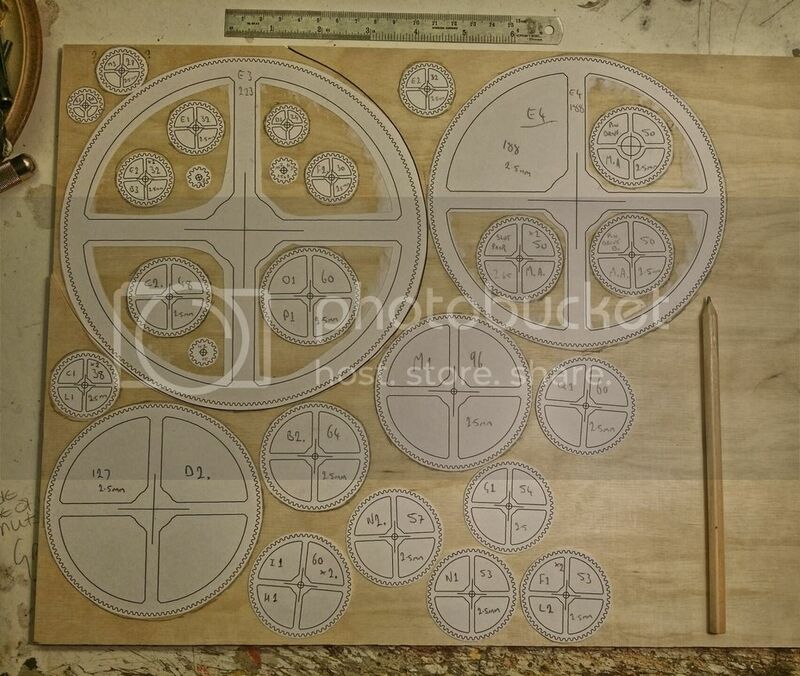 That's exactly what I thought, laser cutter, then realised these are all cut by hand. Outstanding! You should all give it a go - it's very therapeutic! 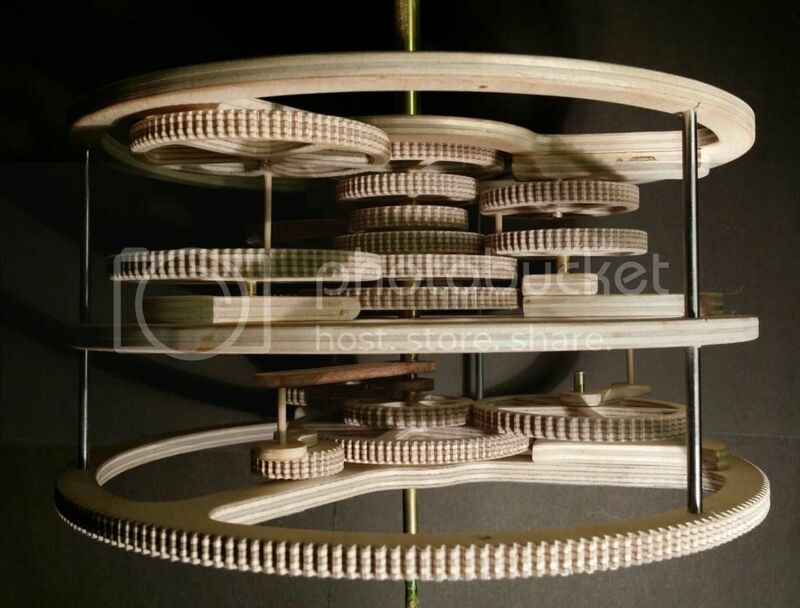 To be honest, I have been down the laser cutting route in the past, but I've only ever had limited success with the companies I've used - the gears that got sent back to me were not as good (or accurate) as I expected - there's obviously an art to cutting 6mm birch pine accurately! 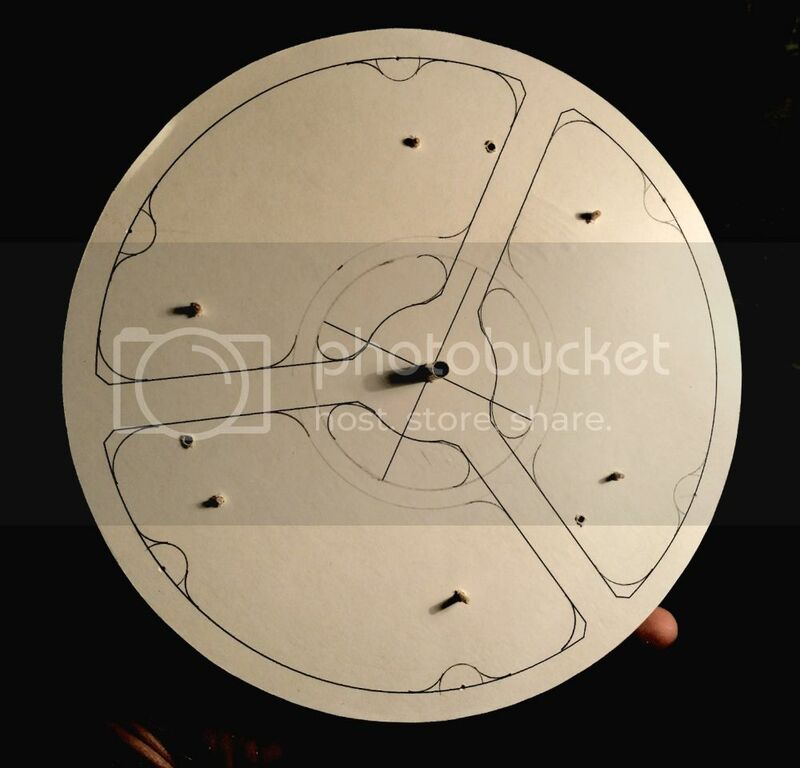 I've been hand cutting gear wheels for long enough now to know how to get to an acceptable tolerance (they are not perfect), and also, with this subject in particular I thought that it was more appropriate to do as much by hand as possible. No electric tools 2000 years ago! Can't believe I only just found this. Very impressive project right there! 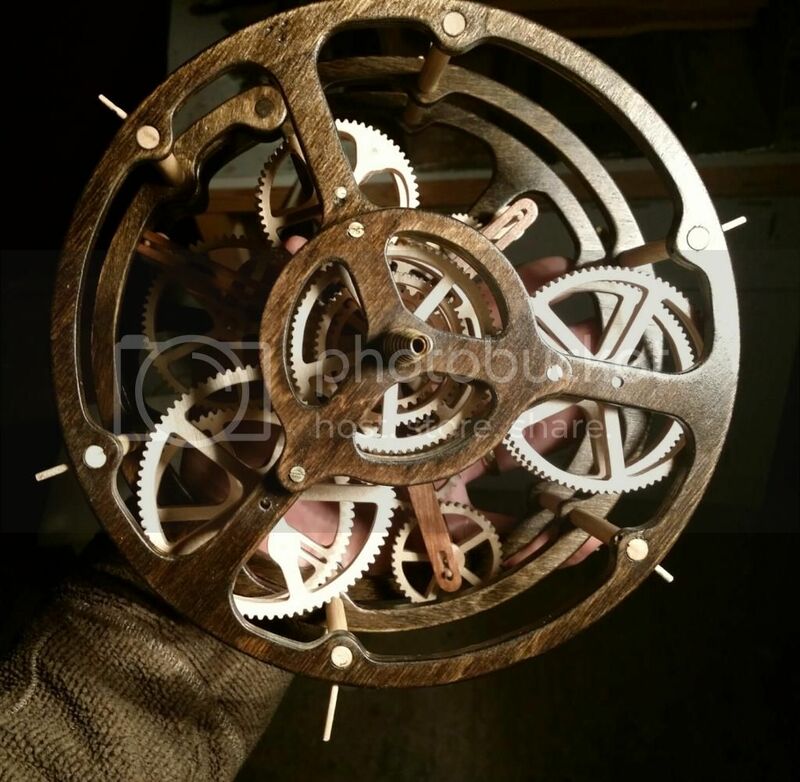 I love the gears too, how do you hand-cut them so accurately? That's a skill I need to learn! "There's more to a bottle cap than keeping liquid from leaking out of glass..."
When you get it working, you should make the files available in laser-cutter format.